Tate, the brother-in-law of former Warriors captain and Australian Test forward Steve Price, was graded by the Broncos from Redcliffe in 2001. The straight-running centre had an amazing 2002 season – making his State of Origin debut for Queensland in the drawn series before being chosen as an interchange player in the one-off Test against Great Britain in July. Tate was in Australia’s starting line-up in the 32-24 win over NZ in October and continued his good form into 2003. He scored two tries in Queensland’s 36-6 thrashing of NSW in the ‘dead rubber’ of the series before making his third Test appearance in the 48-6 thrashing of NZ in July. An injury late in the season, however, saw him miss the Kangaroo Tour at the end of the year. Tate battled a career-threatening neck injury in early 2004 but he returned to the Australian team in time for the ANZAC Test in Newcastle. After playing his part in two games for the Maroons in Queensland’s unsuccessful State of Origin campaign, Tate was selected for Australia on the end of season Tri-Nations competition. 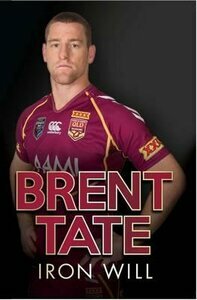 Despite being coached by his Brisbane mentor Wayne Bennett, Tate could not break into the Australian Test team on tour and his appearances were limited to minor tour matches for the ANZACs against Cumbria and internationals against France and the USA. It was a different story in 2005; sporting his distinctive neckbrace to protect his injury Tate represented Queensland and Australia (in all five Tests in Australia’s unsuccessful Tri Nations campaign in England, several as a winger). In 2006 Tate enjoyed a rare trio of personal, club and representative honours in scoring tries in the third State of Origin match (earning him the man of the match award and securing Queensland the series), the Broncos’ 15-8 win over Melbourne in the grand final and in Australia’s 16-12 win in the final of the Tri-Nations competition in November. 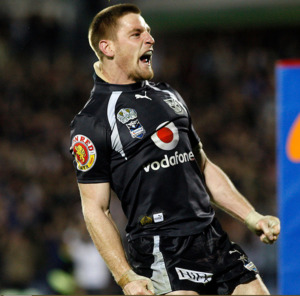 On 30 May 2007, it was announced that Tate would be leaving the Broncos at the end of the 2007 season to sign with the New Zealand Warriors on a three-year contract. He decided to join the Warriors due to the opportunity to play in his preferred position of centre. Tate was selected to play for the Australian national team on the wing in the 2007 ANZAC Test match against New Zealand, scoring a try in the Kangaroos' 30-6 victory. His career with the Broncos was cut short while playing for Queensland during Game III of the 2007 State of Origin series, where he suffered a season-ending knee injury to the medial and ACL. 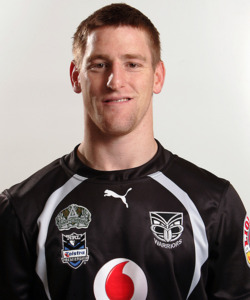 Tate made his New Zealand Warriors debut in Round 1, 2008 against the Melbourne Storm at the Telstra Dome (the same stadium in which he made his NRL debut for Brisbane). 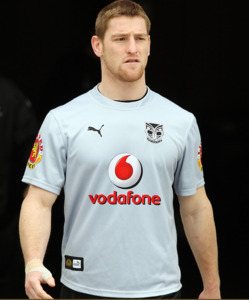 In August 2008, Tate was named in the Australia training squad for the 2008 Rugby League World Cup, and in October 2008 he was selected in the final 24-man Australia squad. However due to injury he did not play in the final of the World Cup, with the Kangaroos going to lose the final to New Zealand 20-34, giving the Kiwi's their first ever World Cup win. Tate's 2009 season was cut short, when in a Round 3 clash against his former club Brisbane Broncos, he suffered another season-ending injury when he damaged his anterior cruciate ligament in the process of being tackled. He returned to the field in 2010, and with injuries early in the season to Steve Price, Simon Mannering and Micheal Luck, Tate stood-in as skipper of the Warriors. The Warriors won their first game under Tate's captaincy, a 30-24 win in Round 5 over Canterbury at the ANZ Stadium in Sydney. However, they were defeated 40-12 in their next game against Penrith at home at Mt Smart. On 23 June 2010, Tate announced that his three-year stay at the Warriors was over, opting to return to his home state of Queensland to play for theNorth Queensland Cowboys. Tate cited the decision as the "toughest he has ever had to make". 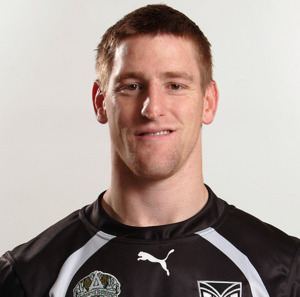 At the end of the 2010 season, Tate was again selected for Australia's Four Nations campaign (the tournament had been expanded to include a fourth team in 2009). Tate, who as of 2013 played his last game for Australia in the final (in which he scored a try), was the tournaments equal leading try scorer with 4 alongside Junior Sa'u (NZ) and Tony Clubb (England). 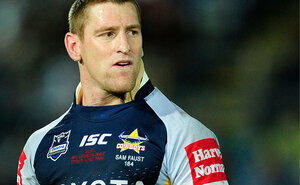 Tate played 67 games in 4 seasons for the Cowboys before again tearing his ACL and deciding to retire on medical advice.